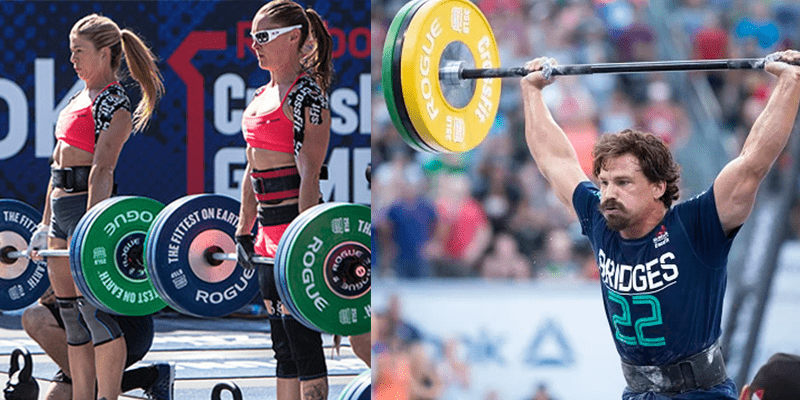 11 Painful CrossFit Workouts and How to Destroy Them! You have 3 minutes to complete it all and then start again. Usually I had a whole minute to rest, or around 50 seconds, but it gets so hard in the end cause it´s 10 rounds. In the end 30 minutes wod. In the first rounds you try to sprint the 200 meters, but the middle ones it seems like this workout is never ending, but the last two or three make you believe in life after workout, which is a hard thing to do sometimes. I like workouts that include short bits of running in the summer time when its warm to break up the workout, because you can go outside. Every time that there is a choice between running and rowing, I always chose run, that gets you both fresh air and lets you see the meters you have to go, not just the number on a machine. I think I´ve never done box jumps so fast. If I can get a longer break by working faster, then I really push myself. That also burns more fat, by doing really high intensity work and then break for a short time in between. This is a wod that I´ve done a couple of times and I sincerely hate from the bottom of my heart. It does not take a long time to finish, it is only 15 minutes of work. But you have to do as many reps as you possibly can. And each rep counts. In the end of your 15 minute that rep count is your grade. The next time you have to do better, have more reps. This makes me so stressed, will I do more reps now than the last time, will all of the other people get more than me? So I always burn myself with trying too hard and literally die in the end. Some guys have it figured out, they just decide a number beforehand, like 25-30 reps for wall balls, and after that they just stop and rest until the next minute. And go on like this, they don´t get as exhausted as me, and often even get higher number, because the exhausted me can´t go on. Other method is just doing as much as you can, but only for 50 seconds, so they´ll always get 10 sec rest in between. Everyone has their favorite movements and least favorite. It does not help fgb, in my case, that it has wall balls, that kill me every time, might have something to do with my height. The sumo dead lift high pull is not an exercise that we used to do often with a barbell but with a kettlebell. So this was a struggle for me, but my goal was to do 5 at a time, drop the bar and try to pick it up as soon as I could and do 5 more. Never more than 5 so I wouldn´t kill myself in the second exercise. Box jump is something that scare me if I have to go fast or too high, so that one minute I just try to keep a steady but rather fast pace, while keeping in mind to hit the right place on top and step down on alternating legs. The push press is my favorite movement of fgb. My shoulders and upper part is my stronger part. So I try to go all out and to at least 10 at a time, then a little rest cause the body has started to get tired after all that has been going on. This is the one I always get higher number in the next rounds. As I´ve previously said, rowing is not my favorite, so I usually go too hard in there and almost give up after 40 seconds. Then try to keep some pace, which is not a good one for the next 20 seconds. After one round I use almost the whole resting minute lying on the floor trying to catch my breath. When you try to do fast box jumps after cycling 36k earlier ? #struggleisreal Really enjoy competing again. Thanks @dxbfitnesschamp for great day 1. Looking forward for day 2 ?? This one is great cause it breaks it up, one exercise and then go out for 200 m, and this chipper is not that strict, it is allowed to do in any order you feel like, but always go out for 200 m in between. Also you chose the weight, if you go for heavier it takes a bit longer. Some of these exercises are done really quick while other take all the time in the world, I could see some of the fastest guys come in after their last 200 m and do a whole set of 50 and go back out while still be struggling with the dips or knees to chest. Because it is allowed to brake up the order, I got confused with what was left. Kept reading the board to see what I had done and what was left and trying to see what was good to pair and what would be bad to pair. All the farmers walks and overhead walks took all the willpower that I had in me to finish. It never looked like a long distance, and it isn´t, but I had to put the weights down couple of times, but rushed them back up if I could see the others getting closer. My problem is that I tend to forget looking at the clock and not jot down my time to remember. The only time I do is when it is a benchmark workout, but still I forget it sometimes. It is not good, if you write down your time in every workout and what weights you can lift, put in the PR´s at least. Then it is so much easier to see the progress, still I forget it while I´m in the gym and working hard none of that comes to mind. I tend to remember it later when I´m not close to the gym or my notebook I bought only for these information. These amraps really work up a sweat if you want, but if you feel lazy you can take it slow and heavy. The point is to get in as many rounds as you can in these mere 5 minutes. I usually start in round 2 or 3 and end my workout with the row, that is if I get a say, which is of course not always. I feel like I have more ambition for the rowing when it is only 200 m at a time and then brake it up by getting of the machine and doing 10 sit ups, and I must admit that sometimes I cheat by doing 15 or even 20 sit ups so I get less rowing time. Because it is never more then 10-20 reps it is always easy to finish that part and then next part is easy as well so it runs smoothly. You never fatigue yourself too much, just keep it up for little 5 minutes then get ready for the next round. It takes a bit time sometimes if you have to choose weights or find a empty spot or machine. Use the transition time as well as you can. This is a kind of workout that is good to use as a recovery from a hard wod, just use light weights and think of it as active rest to do the next day. It is only 25 minutes of work. It is high intensity interval training or hiit and good to do from time to time to burn some extra calories for Christmas, to fit in the dress as we say in Iceland. If there is one total body exercise that I would recommend doing it’s ‘man makers’ ? They are so effective, get your heart rate up and get you fit ??? Here are two versions *video sped up*: 1️⃣Lighter weight version: Begin holding weights in the push-up position, do a renegade row, jump up,do a bicep curl then shoulder press and come back down to the push-up position. 2️⃣Heavier weight version: Begin holding weights in the push-up position, do a renegade row, jump up and swing the weights to your shoulders, then squat down and press and come back down to the beginning position. . Next time you do a full body workout try doing 3-4 sets of 10 man makers in-between other weightlifting sets or in-between interval sprints ?? ?